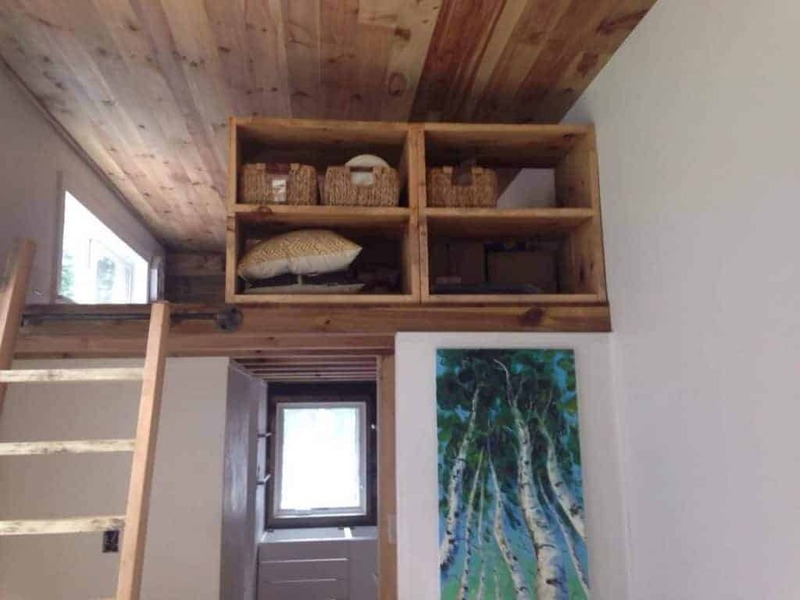 I wanted to share a wonderful example of someone who built a tiny house from the Tiny Project House Plans. It’s so great to see how others adapt the original design to create something truly beautiful and original. 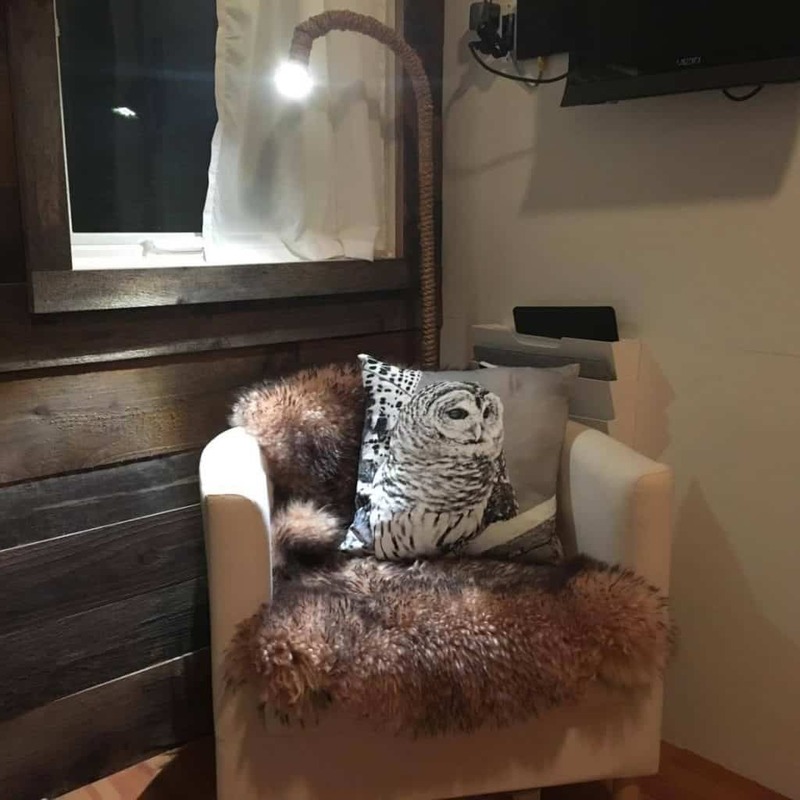 Jodi Frost-McKinnon in Lake Placid, NY has done an amazing job adapting the plans to her climate and customizing the house with fine materials and art, for a lovely interior AND exterior! So well done! We purchased your plans and are building it (with a few adjustments for our climate). We are in Lake Placid, NY. Our first Tiny Home build is 576 sq. ft and it was one of the homes featured on The Tiny House Christmas Special, this past holiday. I started watching it and became so inspired/fascinated by these individuals going super tiny. So we decided to build one. We picked up the trailer from the same place you did and had it shipped to NY. Going through your plans I know you were conscious of materials and products and ended up with a quality build. I am of the same mindset and try to be as Eco-friendly as possible. 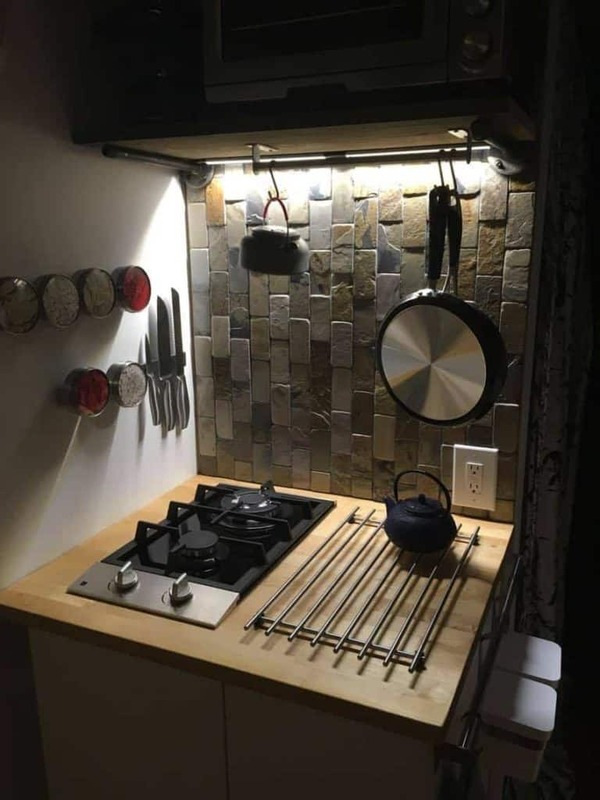 Below is a photo gallery with all the images she sent me of their recently completed tiny house. I’m so proud to see someone do such an excellent job building from my plans. Don’t you think it turned out so well? 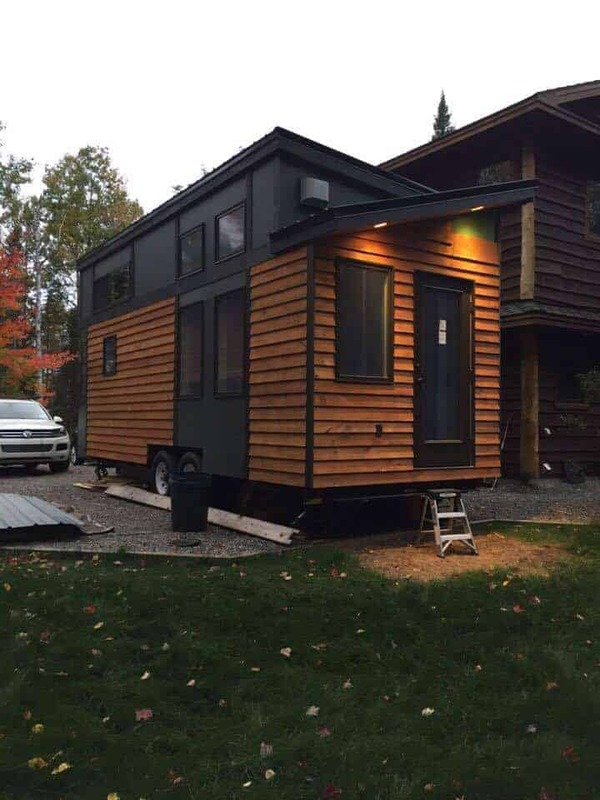 If you are interested in building a tiny house on wheels like this, you too can get a copy of my full Tiny House Construction Plans (PDF + SketchUp). Enjoy! That tiny house is absolutely cute. Love the pictures, thanks for sharing!